As cloud services continue to evolve, they are moving to the network edge. As cloud services continue to evolve, they are moving to the network edge. This architectural shift can help reduce latency, increase reliability and even reduce costs. 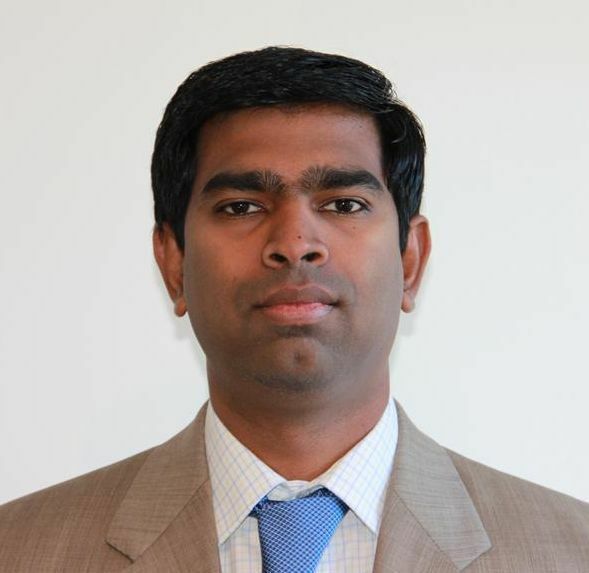 Gnanavelkandan Kathirvel of AT&T gave us some of his thoughts on the technological and business benefits of edge computing, and how working with cutting edge open source projects like Akraino Edge Stack, a Linux Foundation project, can drive this architectural shift even further. How does Edge Computing differ from cloud computing? Edge computing refers to positioning compute, processing and storage capabilities at the edge of the network. You could contrast edge computing with the highly-centralized computing resources of cloud computing supported by service providers and web companies. There will still be a need for centralized cloud computing, but we will need complementary edge computing to help enable next-generation edge technologies. What are some of the most tangible telecom business benefits of moving cloud services to the edge? Edge cloud services convey several business benefits specific to the telecom industry. Edge cloud services can reduce back-haul traffic by keeping the right content at the edge, providing low latency compute services to emerging edge technologies such as augmented reality, virtual reality, autonomous cars, drones and IoT. There is clear business value associated with the quality of our subscriber experience. As we combine edge cloud services with our 5G network, next-generation applications will have access to near-real-time processing, which opens new business opportunities. Telecom providers also have the physical real estate such as central offices, which are the optimum locations to allow third party cloud providers to host their edge cloud. Does moving cloud services to the edge present any unique security concerns? Edge nodes need to be highly secure to prevent hackers from tampering with the infrastructure and the network. Edge cloud services requires granular security controls applied at every level of the edge cloud architecture due to the widely distributed nature of the edge cloud. How does the Akraino Edge Stack Linux Foundation project intend to assist the industry? The Akraino Edge Stack community delivers fully integrated, “ready and proven” open source software to support large scale and highly-reliable operator production environments. Akraino Edge Stack will support a broad range of telco, enterprise and industrial edge use cases, with a focus on creating blueprints that will consist of validated hardware and software configurations against defined use case and performance specifications. How does the Akraino Edge Stack project interface with other open source projects? The Akraino Edge Stack blueprints use several upstream open source projects, such as ONAP, OpenStack, Airship, Kubernetes, Docker, Ceph, ONF, and so on. The Akraino Edge Stack community will work closely with upstream open source communities to enhance any missing edge functionality. Besides the upstream work, the community will innovate and develop solutions that don’t belong in the upstream communities to support a broad spectrum of edge use cases. How does the Akraino Edge Stack project compare to the EdgeX Foundry project? These projects are highly complementary to each other. EdgeX Foundry is a Linux Foundation open source project building a common interoperability framework to facilitate an ecosystem for IoT edge computing. EdgeX Foundry software is agnostic to the underlying edge infrastructure and Akraino Edge Stack naturally supports any type of edge workload. The resulting alignment enables developers to run EdgeX-compliant applications on top of the Akraino-compliant infrastructure. How is OpenStack evolving to support Edge Computing and is it helping the Akraino Edge Stack? The OpenStack Foundation and the board have initiated several activities—including the OpenStack Edge Working group—to kickstart the edge discussion with the OpenStack Community. AT&T also contributed to the Airship Project in OpenStack to help operators by providing a declarative framework for defining and managing the lifecycle of open infrastructure tools and the hardware. The Akraino Edge Stack uses the upstream Airship code in the Network Cloud blueprint to support declarative and predictable large-scale edge deployments.